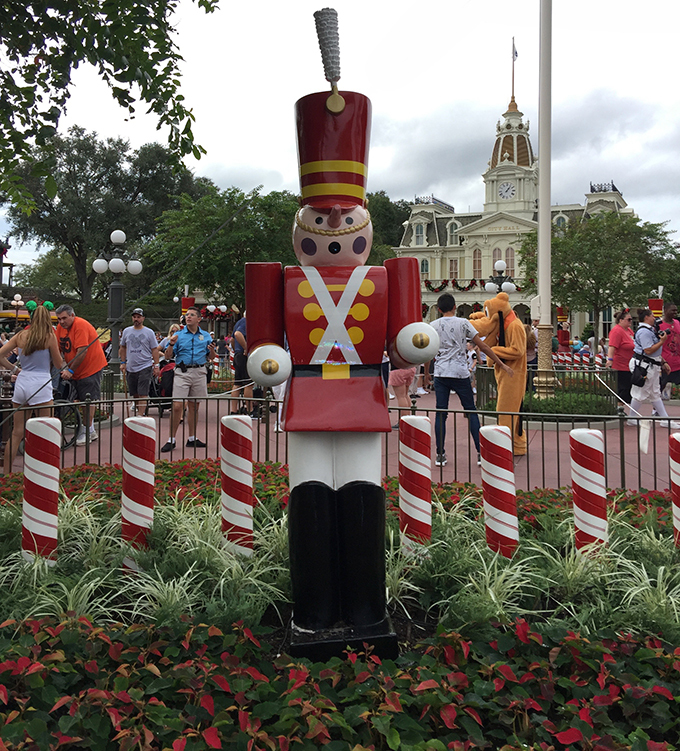 LAKE BUENA VISTA, FLORIDA - A giant Christmas tree adorned with candies and treats and surrounded by toys, giant peppermint sticks, toy soldiers and poinsettias welcomes you as you enter the Magic Kingdom at Walt Disney World. Main Street USA is lined with garland and wreaths. Cinderella's castle is wrapped with lights. See the line up of Christmas and New Years celebrations and special events that are planned.